As much as I wanted to be the crazy person on the sideline yelling orders to the kids to play the game properly, I know she would have lost her mojo especially since some of the parents were sighing when their kids weren't following their orders. I stood there with my phone listening to the crazies around me. If your kid has to look up at you for your order every time they get the ball, they're never going to learn the sport. It's a situation of too many Chiefs. There is ONE coach. However ... everyone is a Chief in Ruralville and that crap can't be helped so it must be endured. Hubs was excited, willing and ready. Jeston has taught her well. 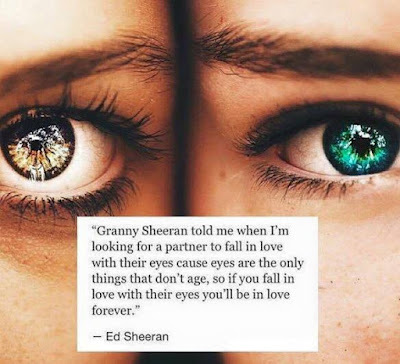 Ed Sheeran needs to stop thinking out loud and think a little harder because he's obviously never heard of cataracts. Capturing Life in 52 catch-ups. Te Tinana - The Body. Why do we torture ourselves every holidays?